Svetol is a natural plant extract of decaffeinated green coffee. 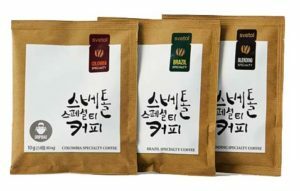 It is derived from 100% unroasted premium Robusta beans that have undergone a proprietary extraction process and possess a composition that helps facilitate weight loss. This plant concentrate has no side effects and contains less caffeine than a quarter of a cup of coffee. According to the Specialty Coffee Association of America (SCAA), coffee which scores 80 points or above on a 100-point scale is graded “specialty.” Specialty coffees are grown in special and ideal climates, and are distinctive because of their full cup taste and little to no defects. The unique flavors and tastes are a result of the special characteristics and composition of the soils in which they are produced. 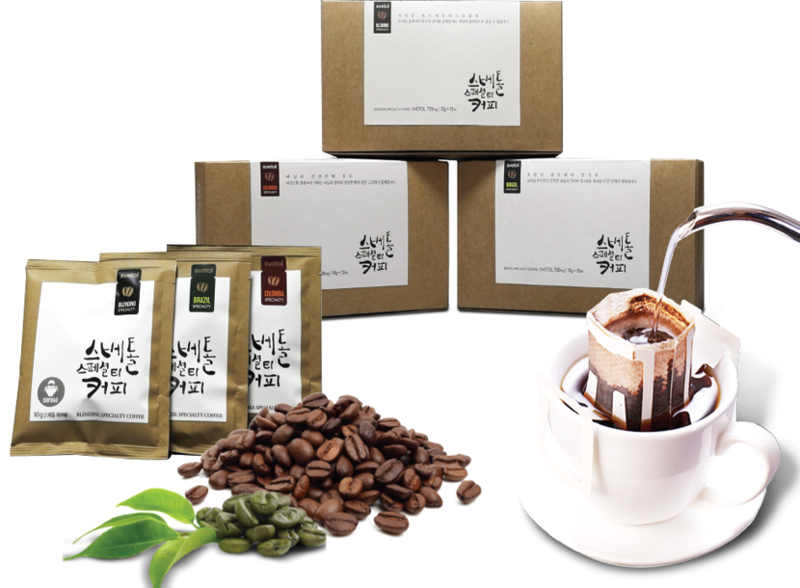 Drip bag packaging that can always save the flavor of specialty coffee anywhere, anytime.